Each person has a physical, emotional, chemical, and spiritual component that makes up who they are and how they adapt to life's stressors. At Inspire Me, we've found that treating each patient as a whole person – rather than only healing a single health issue – matters. It matters to our patients, and it matters to us. Our unique style that combines chiropractic care and integrative care considers the body as an integrative whole. The Inspire Me Naturally holistic approach provides energy healing techniques that bring your body to a whole new level of health, happiness, and harmony. Beyond your vertebrae, spine, and nervous system, you possess a life force energy that creates change throughout your entire system. When a chiropractic adjustment is performed, it affects more than a local segment of your spine. One small change creates a domino effect – a global shift that promotes natural healing throughout your entire body. BGI allows the body to fully integrate and process life's daily stressors. While we get amazing results with BGI alone, it works very well in conjunction with traditional chiropractic adjustments. We apply integrative chiropractic techniques through Bio-Geometric Integration (BGI), a chiropractic care model developed by Dr. Susan Brown, who was a cutting-edge scholar in the chiropractic realm. Her chiropractic adjustment methods use some of the most innovative models of modern science. BGI is an integrative chiropractic approach based on the geometry of each person's body. Knowing that your body is comprised of interconnected physical and energetic connections allows us to address your needs in a truly holistic approach. Through light touches and gentle adjustments, we can help guide your body to release tension. Each natural adjustment is an opportunity for your body to learn and grow – an opportunity to release stored patterns of distortion (misalignments) and restore peace, harmony, and balance. And each adjustment allows your system to better adapt, self-correct, and heal itself! Once you release those old tensions, you are better able to be present for what is happening now, releasing old patterns and old ways of facing daily challenges. Beyond a typical chiropractic adjustment, your chiropractic doctor utilizes natural healing techniques, allowing your body to integrate, learn, and grow from each experience. If being healthy is important to you and you are seeking natural healing in a relaxed atmosphere, Inspire Me Chiropractic is your partner in total health solutions. Regular and purposeful chiropractic adjustments will gradually release stored tensions in your body. By applying the concepts of BGI , we prepare your body to fully integrate and process the changes from your adjustment. 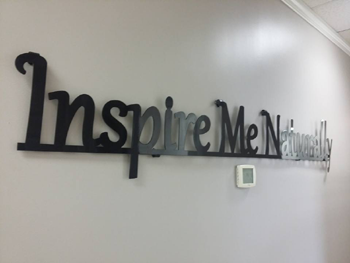 At Inspire Me Naturally, we have a variety of techniques to offer because we have multiple doctors. Some chiropractic offices can be very specific focusing only one specific technique. Our doctors have combined knowledge in a variety of techniques, including Drop Table, Full Spine, Activator, Toggle, and more. We also combine deep breathing techniques to release your body from fight-or-flight responses and restore your body's inner peace. This amazing approach maximizes the potential within you! We believe it is important to be able to adapt to the variety of people who walk through our doors. We understand some people are pros when it comes to getting adjusted and prefer a hands on, firmer approach, while others respond better to a light touch. Our level of care is unbeatable. Request your free wellness boost package today and start your journey to better health and wellness.